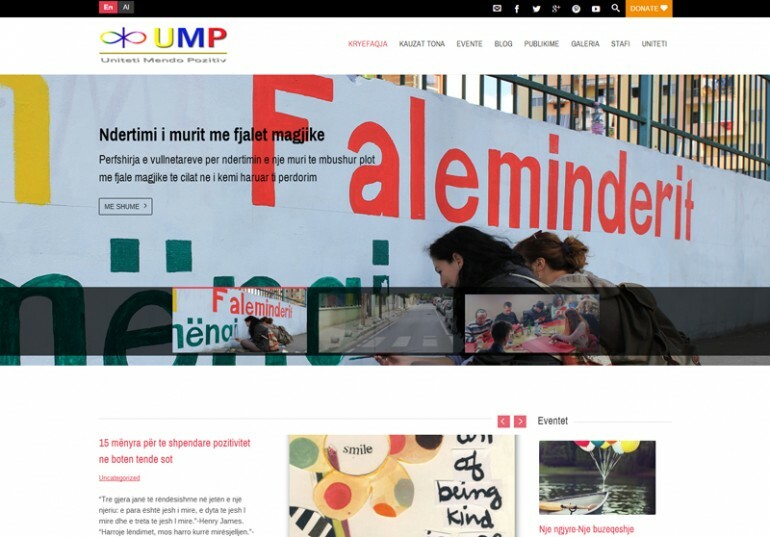 Mendopozitiv is an organization founded in 2012 that shares and promotes a positive thought to people across Albania and Albanians worldwide. It offers great perspectives to see you life from. It is a kind of blog based on WordPress. There are many things to notice and follow on it. As a website its main features is that it has two separate sites for multilingual content as well as great sliders. It is mostly optimized (i got some work to do yet) as a website. Its clean and comprehensive for all users, it also has cool donation features.